I was watching this show called Treehouse Masters on Discovery channel and it inspired me to write this post. I grew up building treehouses and huts and the TV show completely takes me back to my childhood. 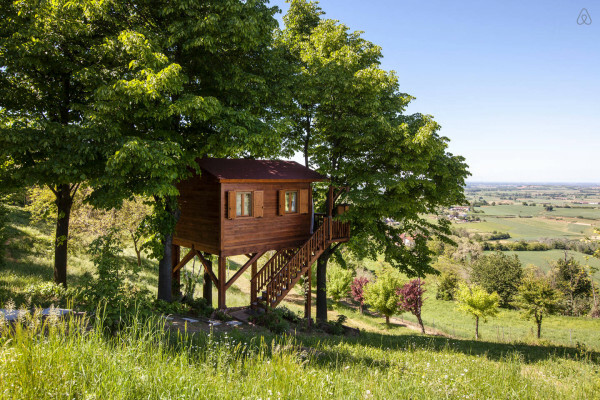 But Tree houses are not just for children anymore. 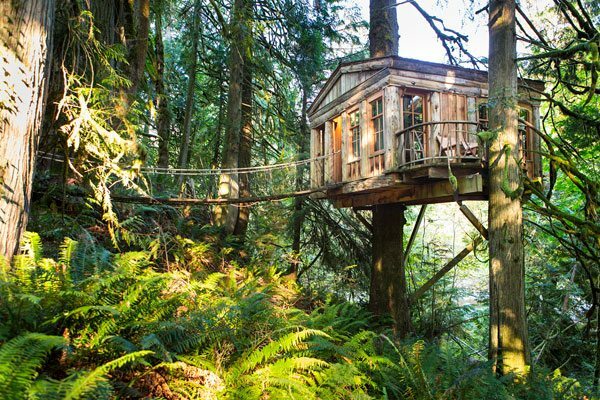 Check out these amazing treehouses and find your inner nomad! 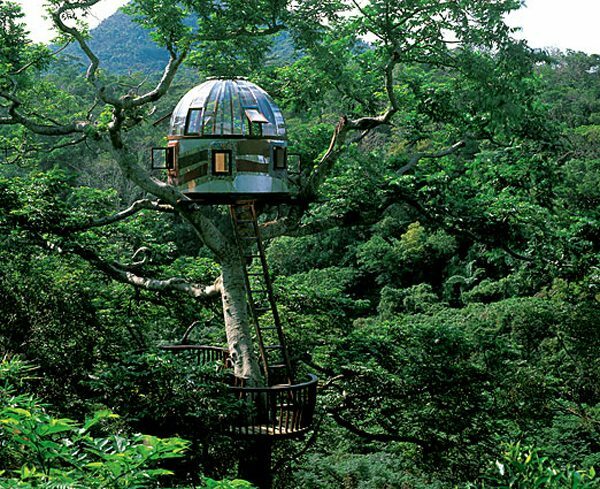 Wow, what a treehouse! This is not something you can build overnight. 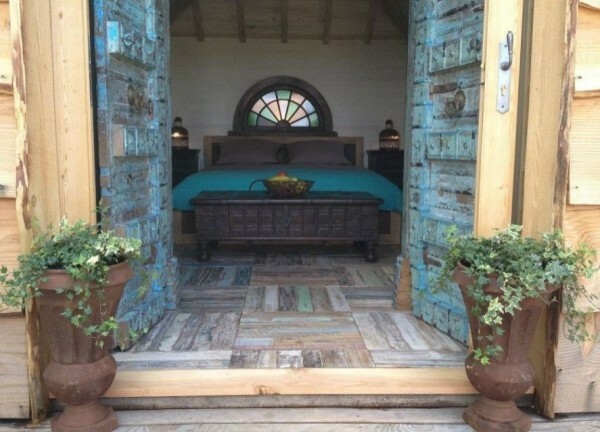 No, this is a luxury threehouse in the middle of a coffee plantation in India. Three house point offers several treehouses on the property. Our favorite treehouse is the “Temple of the Blue Moon”. With a hanging bridge leading to the beautiful treehouse, it truly feels magical. Check their Instagram and be inspired. 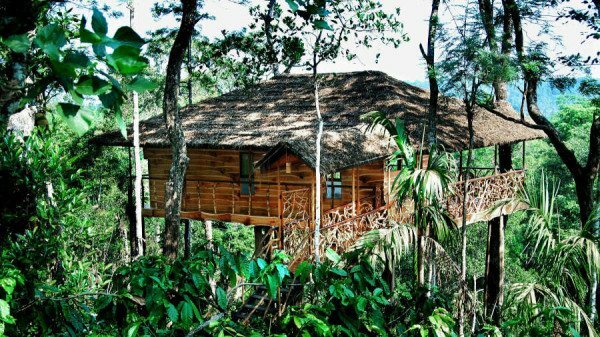 Previously featured in my blogpost about the top 5 wanderlust hotels in the world, this is a fairy-tale treehouse you want to sleep in. Not a Treehouse for sleeping or playing but a Treehouse for eating! This restaurant looks like a hot air balloon where you can dream of flying off into a new world. This New Zealand based restaurant has had a lot of media attention so if you want to eat here, make sure you book well in advance! They host private dinners and weddings too. Part of the Beach Rock Village (amazing) in Okinawa, this is a treehouse that was build for a purpose; communicating with the space outside. Feel one with nature. Build and designed by Kobayashi Takashi, It’s also referred to as the ‘plexiglass portal on the world’. 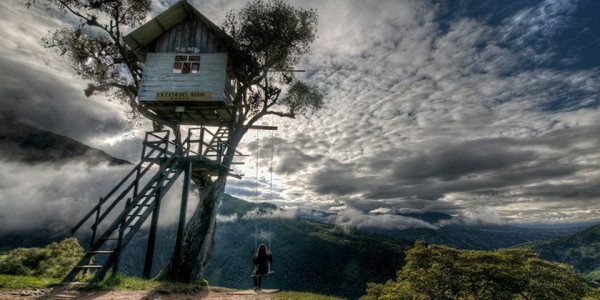 This cute treehouse is not the best looking treehouse in the world but the location is somewhat amazing. 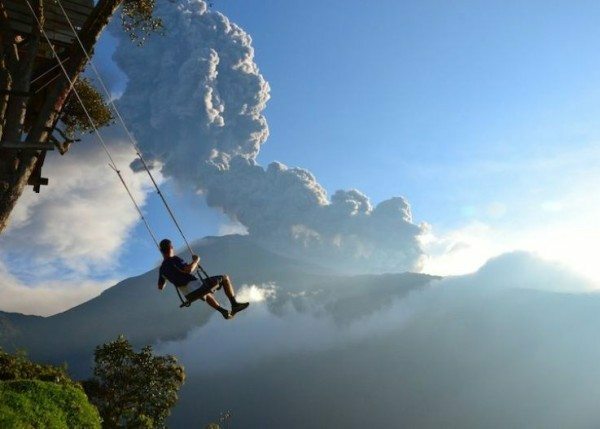 You can literally swing over the edge of the world (2660 feet above sealevel!) Thrill seekers from all over the world try to get the rush and sail over the city of Banos. Bucketlist? 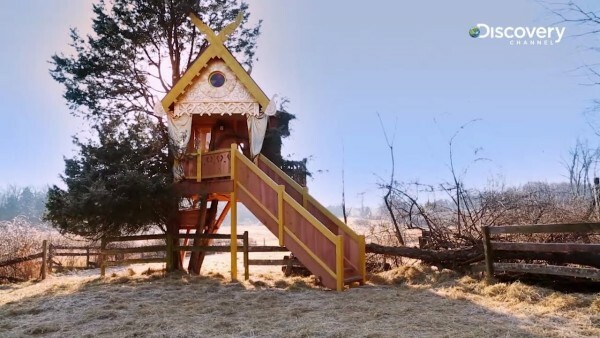 This is one of the best treehouses build by pete who heads the hit series Treehouse Masters on Discovery Channel. It’s solar powered and build in the backyard retreat of a New York based writer. I bet she will get inspired to write some amazing stories in this treehouse! Check here to see part of the episode. 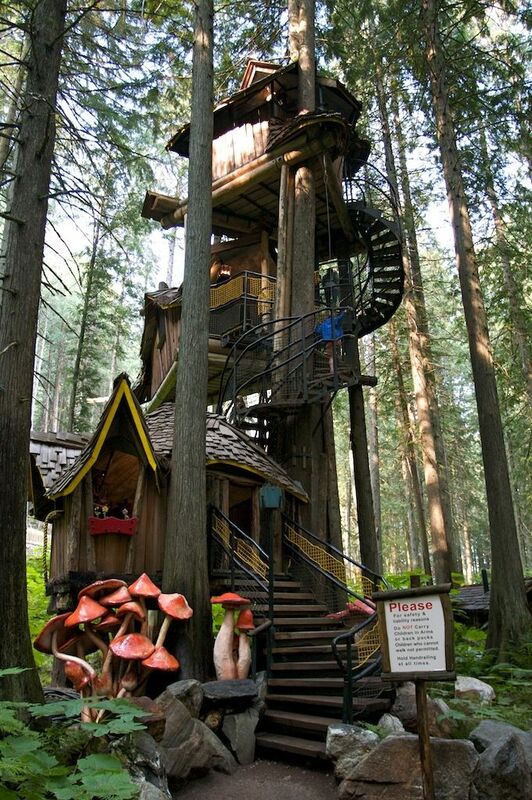 It’s a shame that it’s a children attraction, but it doesn’t stop adults climbing inside this enchanted treehouse up in British Columbia. Why only 1 treehouse, if you can build three into one right? 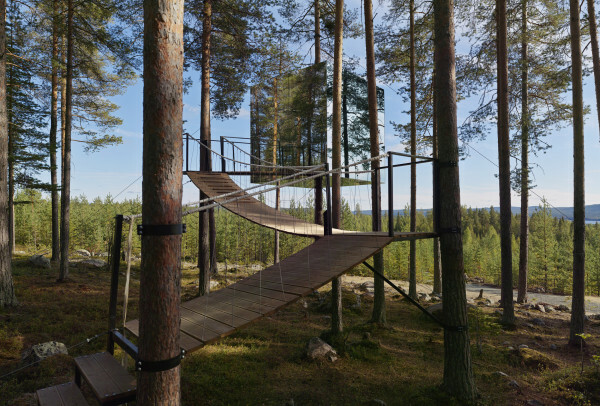 It’s a very modern treehouse but because of the mirrors, this structure almost disappears into the trees almost as if it’s a tree itself. 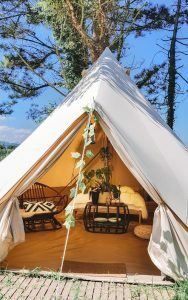 Inside it looks incredible cosy and includes a 1 persons bed. Designed by Tham & Videgard architects, this Swedish hotel is definitely worth visiting! 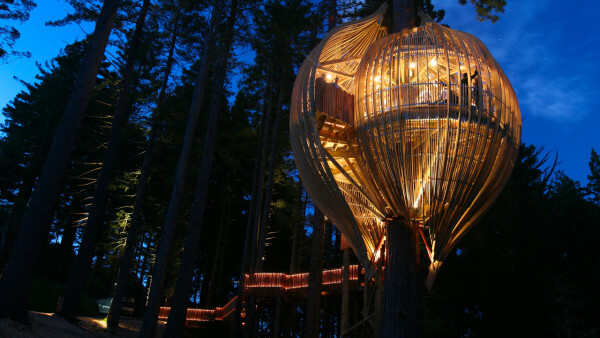 They also have other treehouses such as the Cabin and the UFO treehouse. Be aware that it will cost you about 400 euro’s to stay the night. 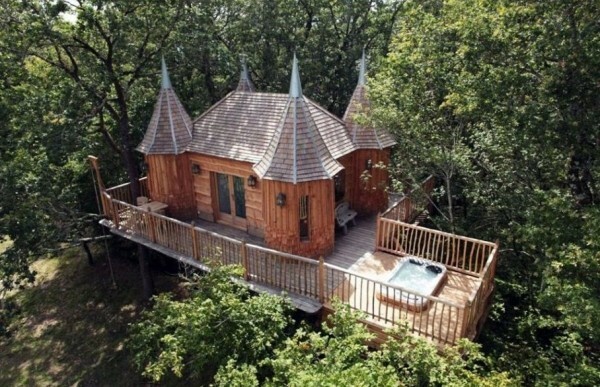 This treehouse is listed on Airbnb and looks like a castle. 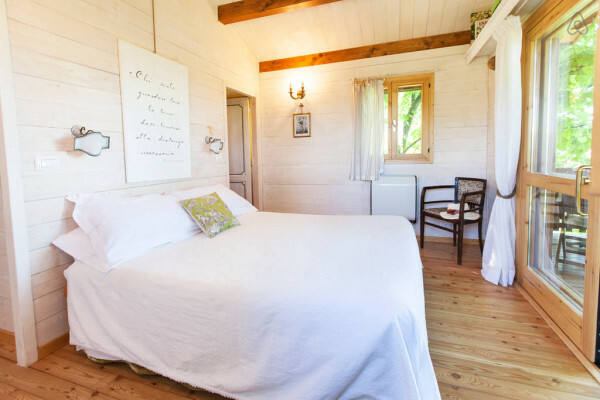 It sleeps 2 people and has a lovely bath & bedroom. Now this is a treehouse we can afford. 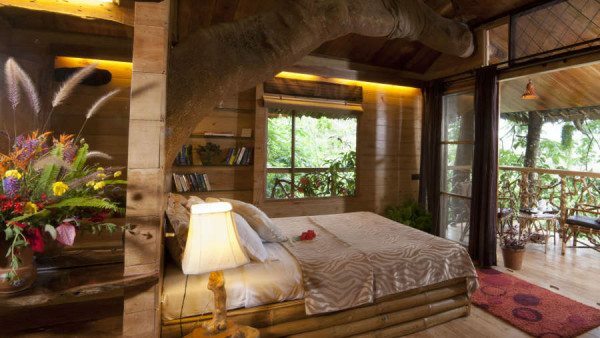 For about 140 euro’s per night you can sleep in this peaceful treehouse. Surrounded by nature, this is the perfect romantic gateway in Italy. It includes a private shower, balcony (with stunning views!) and a beautiful bed. Not convinced yet? Check here and book! Want more? Check here for the top 5 Wanderlust Hotels in the world.